Darlene may hold the record for youngest person to join our chorus! Growing up the daughter of Lee Ann Williams, an extremely gifted and long-time vocalist of the Choraliers, Darlene experienced the organization from a perspective like no other. She learned early on as a pre-teen that she wanted to be part of our chorus. In 1976, at a much shyer age of 18, Darlene received a phone call from Bob Miller, and due to the suggestion of her mom, he allowed Darlene to join without undergoing a stressful audition. Her musical background includes piano lessons, playing flute in 4th grade, and church choir by age 12. Her non-formal vocal training came naturally while with singing a multitude of duets with her mom and singing with the Choraliers. 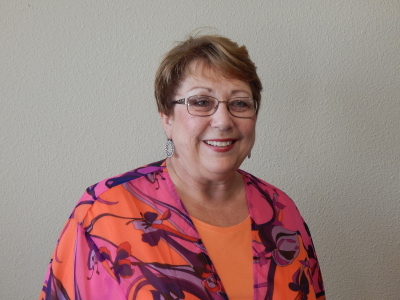 After Bob Miller retired, Darlene became one of the directors and has served as secretary to the board. Presently, she is the financial officer, the wardrobe manager, and when not directing, the anchor to the altos with music memorized early in the season. Hobbies she enjoys include decorative painting, cross-stitch, and spending time with her four nieces and seven grandnieces and nephews. Her favorite color is green. One of the hardest workers of the chorus, you will find Holly lifting equipment, moving pianos, cheering us on, and inspiring the audience with her strength, spirit, and demeanor! 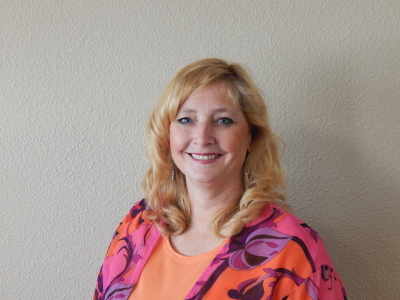 She had been in the dental field since 1987 but in 2019, she had a career change and nowworks at a local bank. Married to a cabinet maker, she and her husband, David, have two sons—great young men that often helped us out during stage sets, and sound / lighting. Holly has her musical roots singing in two church choirs and in the chorus and musical theatre in high school. She recalls, “I still remember the first time I heard the Choraliers sing at Mount Zion Church in Pine Grove. It was so inspiring! 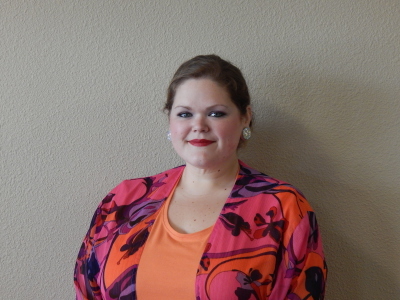 I knew I that I wanted to be a part of this singing family and it has been my pleasure for several years.” Holly has sung soprano since she began singing with the Choraliers in 2005. In 2015 she started helping with director duties as well. John is our traveling Choralier. When he’s not mountain climbing or traveling the globe, you’ll find him in the bass section.  Having sung with the San Diego Symphonic Chorale, John joined the Amador Choraliers in 1975. Being one of its longest standing members, he has a lot on his shoulders as a leading voice in our bass/baritone section. With his wife, Sandy, they have a daughter, Tracey (who currently owns and operates the restaurant, Taste, located in Plymouth). John loves hiking, backpacking, snowshoeing, and traveling abroad. We are grateful to his service in the US Army from 1957-1963! John is a retired Stock Market Investor. Joining the group in 1996, Carole has been active with the Choraliers and the Foundation ever since. She has served as President of the Board as well as instrumental in launching the membership and sponsorship campaigns. Carole is a key delegator for dozens of duties to keep the Choraliers afloat! For many years, she has done all the design work for the posters, and manages the database. Starting as a 2nd soprano, she moved to the alto section in 2000 and occasionally sings solos and in small ensembles. She started singing in high school, and then under the direction of Jimmy Owens with the Cathedral Choraliers in Oakland, CA. 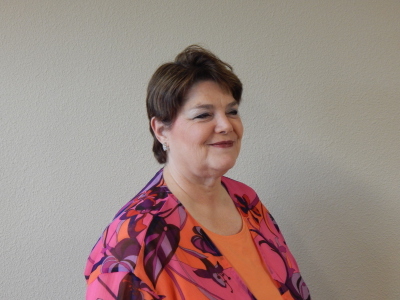 She also sang for many years with the Mountain Ranch Choraliers, Summer Sing in Lake Tahoe, church choirs and has been the director of music in her church. Recently retired, Carole is married (52 years! ), has two daughters and six grandchildren, and 1 great-grandchild. In her spare time, she loves to garden is an avid scrapbooker, crafter and gourd artist. She is also a Year-Round-Volunteer for Operation Christmas Child. Starting in 1998, singing 2nd soprano with the Choraliers, Joyce has been sharpening her vocal and performance level while singing more and more solos and in small ensembles with the group. 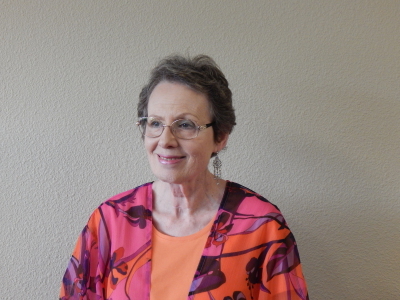 Before moving to Amador, she sang with the Bay Area Choral Ensemble, and with Sweet Adeline’s, an international organization, where their motto is “Harmonize the world.” She has one daughter and 3 grandchildren. 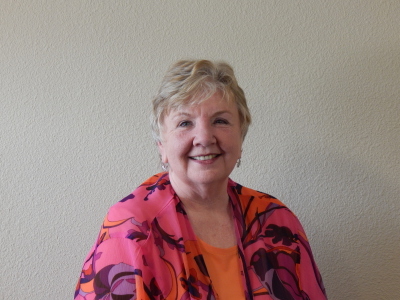 Joyce is a registered dental hygienist, now retired and her hobbies include painting, reading, and traveling. Pam is a retired 5th grade teacher from Ione Elementary. 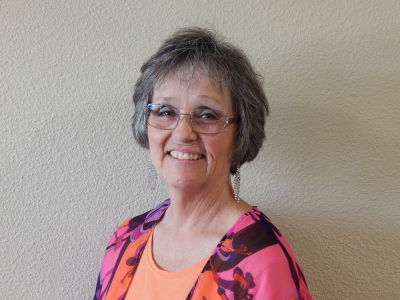 She enjoys reading, gardening and recently became a Master Gardner and Food Preserver! She played violin in high school and college, and has sung in church choirs over the years. A 2nd alto, Pam started singing with the Choraliers in the spring of 2010, and has become a key voice in that section. 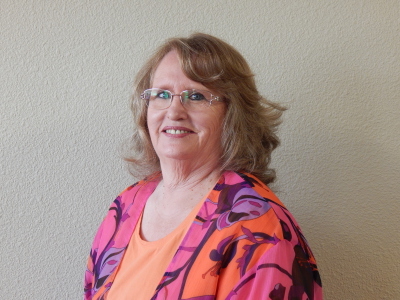 She is an active single lady with 3 children and 6 grandchildren. Pat joins us from San Andreas where she is a manager at the Calaveras Mini-Storage. She has been singing in church choirs and began singing as a member of glee clubs in secondary school. Pat's son and daughter are both married. She has two grandsons, six granddaughters, and one grandson-in-law. Pat enjoys attending plays, volunteering to aide senior citizens, participating in the Relay 4 Life and learning long-arm quilting. She began singing alto with the Choraliers in spring of 2013. Barbara plays piano, (and when younger, played flute and cello) and has had a varied background in singing over the years. She sings 2nd soprano and joined Choraliers in the winter season of 2013. She currently works for Sust Mfg. Co., Inc in Stockton and loves learning, living in the woods, Tai Chi, dance, making music and “making merry” with her family and friends. She has a daughter, Laurie, son-in-law, Rob, and 2 grandchildren - Katie and Megan. 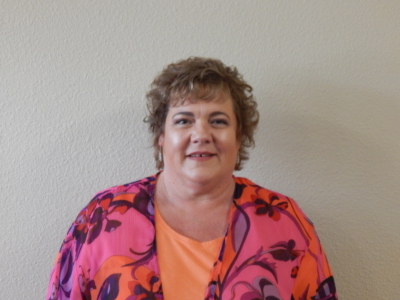 Having worked in the corrugated industry since 1992, Jennifer has served the majority of those years with Cal Sheets in Stockton. She and her husband, Mike Cook, have one son, AJ. Jennifer's love of music extends back to grade school, Jr. High, and High School. She has sung in Church choirs as well, and we are happy she brings her energy and personality as an alto (and sometimes, tenor) to the Choraliers. Her hobbies include music (number one on her list! ), wine tasting (and drinking), and cooking. Jennifer joined the group in spring of 2013. Bob Miller called Irv his “right hand man.” When Bob was not available to direct the Choraliers, Irv was always ready to wield the baton. Not much has changed from those early years. Irv is still willing to do whatever needs to be done. Starting in 1964 with the group, he shows little sign of slowing down! Irv still sings when needed, plays a variety of instruments, hauls the trailer to all the concerts and leads the men in setting up all the equipment. He taught music in Amador County schools and during his two years of military service in Korea, he played with 3rd Infantry Division Band and the 8th Army Band. He currently plays (and does some directing) with three local bands, one of which has played in Washington DC. 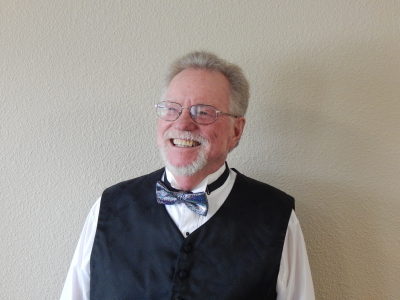 He also served as the Sutter Creek Methodist Church's choir director for 29 years. He still plays a mean round of golf, loves trout fishing, and backpacking. You’ll find his wife Lita at all the concerts, greeting folks and handling the tickets at the door. They have three children, six grandchildren, and two step-great-grandchildren. Joining the Choraliers in 2013, Melanie grew up singing in the Ione Elementary Red Ribbon Choir where she continues to assist with vocal coaching. With her beautiful 1st soprano voice, she often performs solos and in small ensembles. Outside of working as an account rep for Dignity Health Medical Foundation, Melanie enjoys collecting antiques and searching and researching for her next perfect tattoo. She is married to Caleb and they hav a new baby girl, Hazel. Melanie is currently on leave of absence from the group. Kathy began with the Choraliers in 2013 as a 1st alto. After her first season, it became apparent that she was a force to be reckoned with as she began singing solos and in small groups, and also shares in the pianist duties. Her mother said, “she has been singing since birth”, and has played the piano since age five. Kathy works for the Calaveras Superior Court is married to the love of her life, Dave, and has two children, Jacquie and Matt, both attending college. Music being her #1 hobby – playing the piano and karaoke – Kathy also loves reading, cooking, and baseball – GIANTS of course. Berlene retired from AT&T but is back to work part time with Foothills Infusion RNs as their bookkeeper. Her singing background is quite eclectic starting with opera training, then a year with a rock and roll band, and then in an a Capella choir. She joined the Choraliers as a soprano in 2014. Currently single, she has two children and five grandchildren. Berlene has a real love for things antiquated belonging to several clubs – Model A Ford (has a 1931 Victoria), Mother Lode A’s, Sonora A’s, Civil War Re-enactment (member of Legends of the American West). She also loves vintage clothing, old guns and old men! Brad joins the Choraliers after retiring in 2016 as a high school counselor at Galt High. He spent 27 years helping kids find their way in life, and is now loving the idea of devoting his time to music and the Choraliers. In addition to Counseling, Brad also has degrees in Music and Broadcasting, and spent his first decade as an adult, as a broadcast newsman and disc jockey. He worked on several stations in Sacramento, and KNBR San Francisco. Before joining the Choraliers in the 2017 winter season, Brad sang bass for 4 years with the Sierra College Vocal Jazz ensemble. As a youth, he played piano and played lead trumpet with the Del Oro Golden Eagle Band that competed in Vienna, Austria. Brad has a daughter Jessie, who lives with her husband Mike, in Hollywood. Paula started performing in music and theater productions in high school. After graduating, she spent the next seven years in the US Army. But, she still managed to continue performing at a dinner theater on base at Fort Knox, Kentucky. 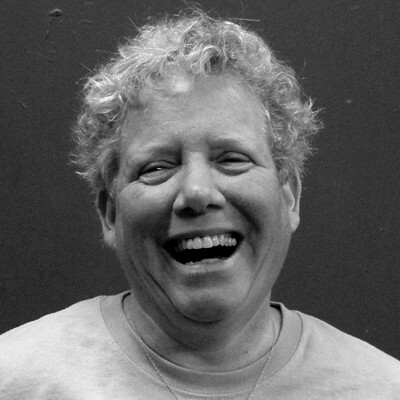 She is a long time member of the Volcano Theatre Company and has appeared in many productions and has served on the Board. She has also directed four shows with the VTC which have received numerous nominations and one win from the Sacramento Area Theatre Alliance. But, her first love is singing. She joined the Choraliers in spring of 2017 and is enjoying the vocal challenge. 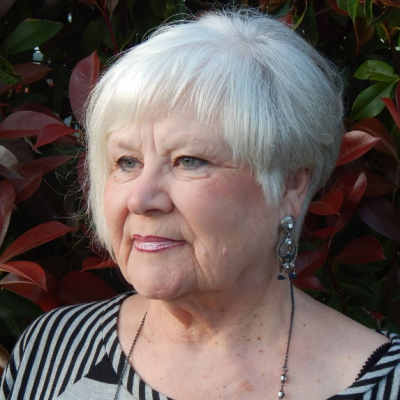 Although she is now retired, she keeps busy with five children and nine grandchildren. She is also an active member of the American Legion. Lisa grew up around theater, ballet and music and has played piano since age 8. She started singing in her 6th grade choir, later with her high school and college competition choirs and small ensemble groups, and musicals. 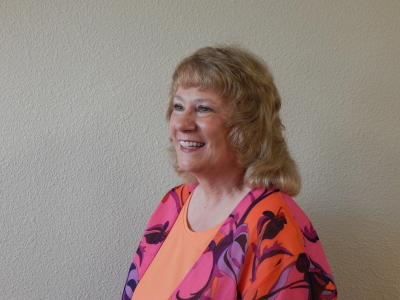 She has directed her church choir and sang with her church worship team for many years. She was founder of a ladies quartet, Forever in Hymn, that sang around the county for many years. Joining the Choraliers in the winter season 2017, Lisa has 3 amazing grown children, Andy, Zak, Alli and son in law Trever. She works as a Customer Relations Representative for Amerigas Propane in Jackson. When she is not singing Lisa enjoys gardening, sewing and cooking. Brian has sung 1st tenor with 2 large choruses in Marin/Sonoma area, as well as several small ensemble groups. He was fortunate to be able to travel to Europe 3 times to sing with the above groups. Joining the Choraliers in spring of 2018, Brian is single, and a recently retired physical therapist. He loves to sing, write, sing, garden, sing, enjoys films, sing, loves concerts/theatre… did we mention, he loves to sing? Cindy returned to the group in winter of 2018 after a 2 year sebatical. Since the year 2000, Cindy has sung 1st & 2nd soprano and 1st & 2nd alto at some point or another and is currently singing 2nd soprano. An avid instrumentalist, she plays viola, violin, trumpet, trombone, baritone, flute, guitar, saxophones, and others! Her goal is to learn every instrument in the orchestra! She and her husband Bill love their 4-footed children: their doggy Judy, an Aussie Shepherd, and their kitties Lewis, Sweetie, Sam, Boris, and Natasha. Cindy has dabbled in several careers from working with kids and adults with special needs, to retail and grocery, and a stint in Yosemite. She has the unique ability of working with scientific gas chromatographs. Her love of singing and playing instruments are somewhat equaled to sports and art and crafts projects. Want to be part of this prestigious group...please contact us!